You would have to make your permanent residence under a rock to not be aware of the impact technology has had on our lives in the past few years. Despite this, if you happen to play golf, the number of electronic gizmos that are available now to enhance your game is astonishing. The trouble is that some, such as with GPS, are still kind of cumbersome and require a learning curve to make practical use of. 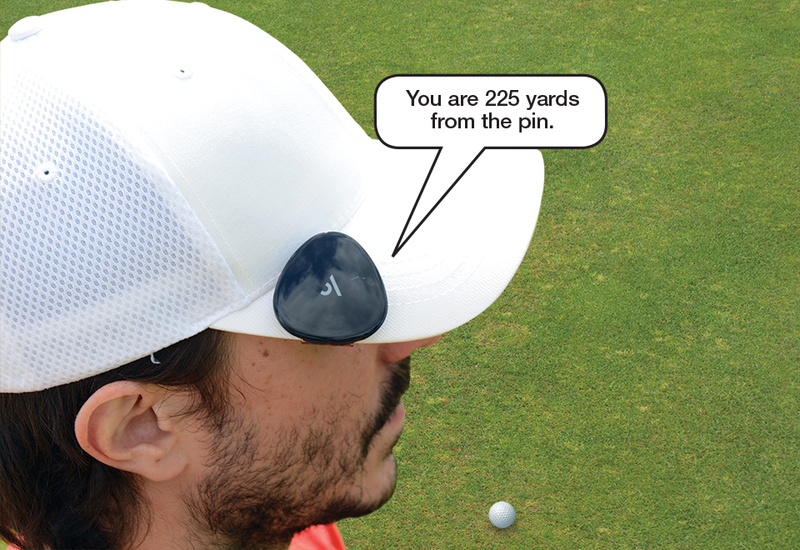 All that is a thing of the past with Voice Caddie’s new Voice Output Golf GPS, which not only fits comfortably on the bill of your cap or visor, but tells you in a voice how far you are from the pin. There’s nothing to sync or download. All you have to do is to clip the tiny device on your cap and you will have someone to tell you the distance to the front, center, and back of the green. It has a database of 30,000 courses to choose from, and it does so in seven languages ( English, Korean, Chinese, Japanese, French, Spanish, and German). A full charge will give you eight hours of continuous use. It will take you longer to break par than to use all that juice.